http://www.spherebeingalliance.com and David Wilcock’s site: divine cosmos. So… just before I learned about the Sphere Beings, I had begun to see “3.14” or “314” or “3:14” everywhere. I stored it in the back of my mind to watch out for a meaning. Then in my heart temple on the astral plane, I saw a new entity inside the temple that was colored in indigo blue with red and violet mixed around the head. Then I learned about the Sphere Beings who include, among other beings, a blue avian species whose colors are indigo blue and violet. I then felt that the “314’s” that I was seeing somehow related to these new sphere’s (3.14 as being pie). In my prayer to God regarding validation of the Sphere Beings, I made the statement that “314’s” wouldn’t do, that I needed to hear the word “sphere” or see one, as I mentioned before. That was Sunday. On Monday, I began to see “314’s” more than ever but I smiled and said that I needed more. I took the kids for their group piano class and I stayed with my daughter in the kids room as she was crying (she never cries like this and I never have to stay with her). Just then, two other kids in the group walked in to hang out as their older sibs were in session. What they were carrying made my heart pound. 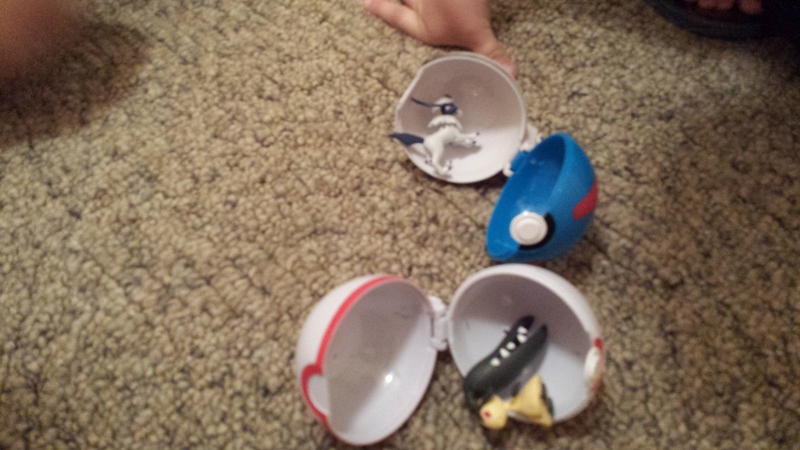 The two of them had toy spheres that opened up and little toy beings were inside. One of the spheres was actually blue with a little red. I took a picture. Later, as I was thinking about this synchronicity, I wondered if I could just see one more sign (three is a good number). 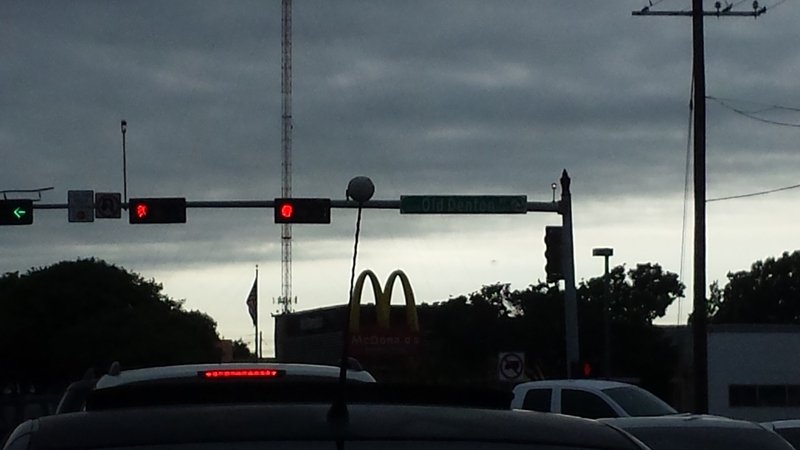 I felt a stirring to look up and right in front of me was a car that had one of those balls on the top of its antennae. I also took a picture. I looked around at all of the other cars and there weren’t any others with this little sphere on them (so it was unique at this intersection with more than a hundred cars at the stop lights). For what it’s worth, I still hold this info with a tension. In the long run, I know that it doesn’t matter because the real work is right in front of me, in the NOW, as I serve Christ in others. To love others as Jesus loved us, this is the command. My one main desire to continue to live from my unity with God, in Christ, and to bless everything. If the whole thing is in my head, I’ll be okay with this too, and this is the tension I am living with. I repeat, the only thing that matters is how I embrace this life, this now, with the lessons, and the service opportunities that come with it.